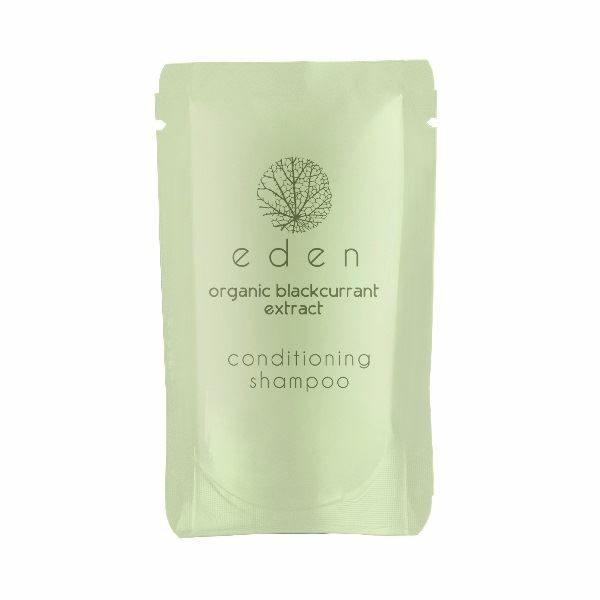 This striking stand-up conditioning shampoo pouch is part of our new and improved bestselling Eden range, accompanied by a matching body wash and hand & body lotion. The shampoo is enriched with organic blackcurrant extract to ensure hair is tangle-free and lightly scented. The formula itself is free from EDTA, GMOs, BHT, silicones, petrolatum and synthetic colourants, while remaining vegan friendly and specially produced to minimise allergies.